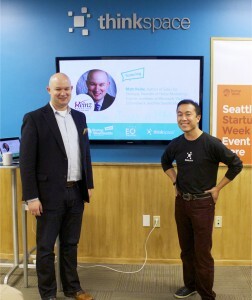 Last week, thinkspace and Seattle Startup Week, with help from Russell Benaroya (co-founder and CEO of EveryMove) and Andy Liu (angel investor and CEO of BuddyTV), took over the incredible space that Graham & Dunn occupies on the Seattle downtown waterfront. For twenty three minutes, we had the opportunity to bounce around inside Russell’s mind. 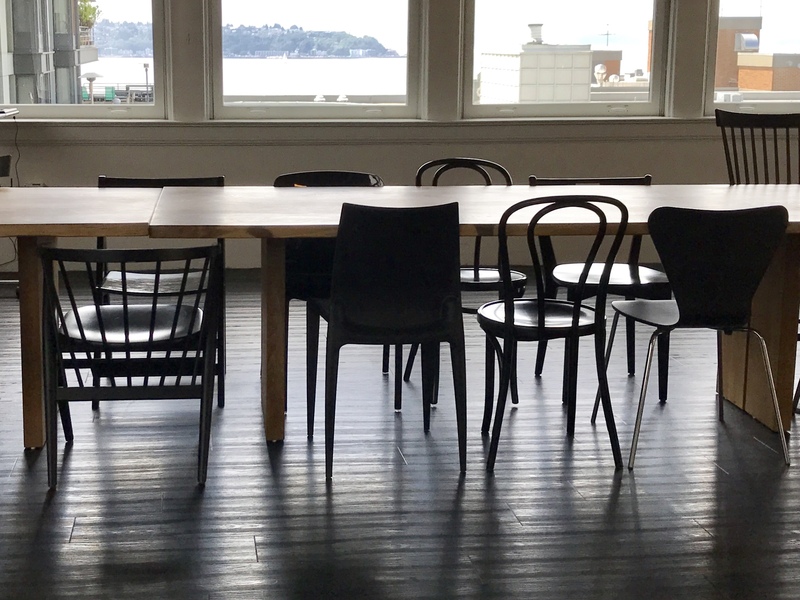 There’s a reason why shared offices and coworking spaces and organizations like the Entrepreneurs’ Organization exist—and not just exist, but thrive. Sure, you can start a business out of your basement, or your spare bedroom, or Starbucks. But the benefit of surrounding yourself with a support system, with like-minded people? Invaluable. Entrepreneurship may be a lonely road, but that doesn’t mean we actually have to walk it alone. 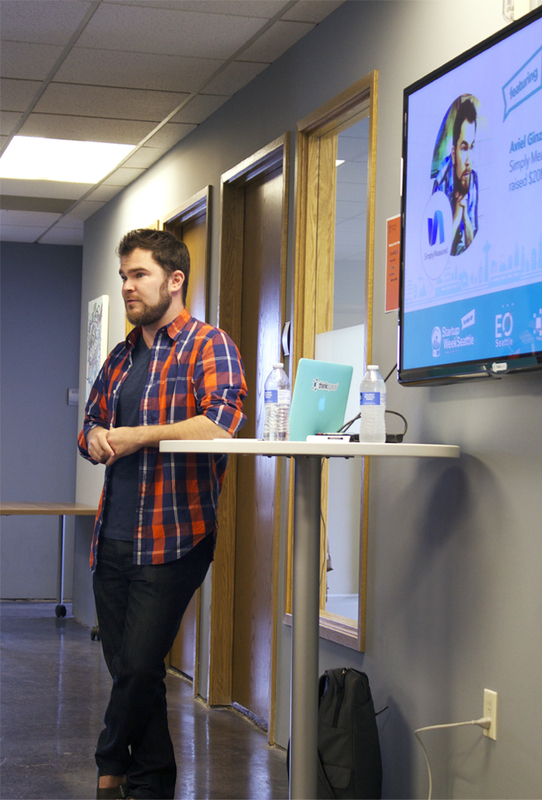 The dust surrounding Seattle Startup Week is settling, but on Wednesday morning, in the midst of the hustle and bustle, we hosted a Startup Week event in our Redmond location. Matt Heinz, president of Heinz Marketing, joined us for breakfast and told us how we could scale our sales and marketing without breaking the bank. One of the ways to do this is to assess what you’re doing on a regular basis. Regular as in weekly, or—better yet—daily. Another way is to fire a lot of bullets. As Matt said, “You will not get it right right away.” Because what works for one company may not work for you. 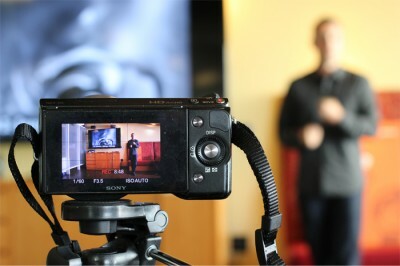 Matt described the following scenario: A company thinks they have a great idea and they just go for it, guns blazing. But what if it doesn’t work? Or what if parts of it don’t work? You have an entire program or organization built around something that’s broken. They just built a cannon that doesn’t fire. They just wasted a lot of resources. 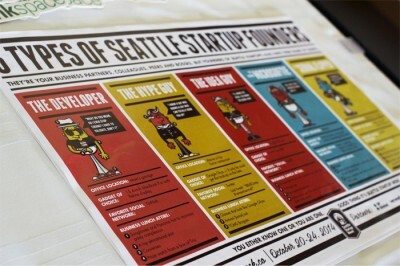 Seattle Startup Week | Scaling, and funding, and cupcakes! Oh my! 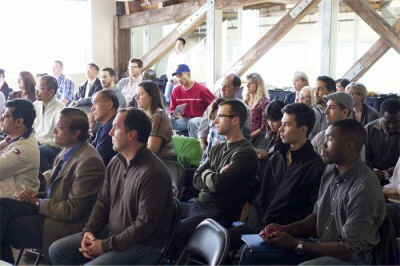 We are excited to be sponsors for Seattle Startup Week! 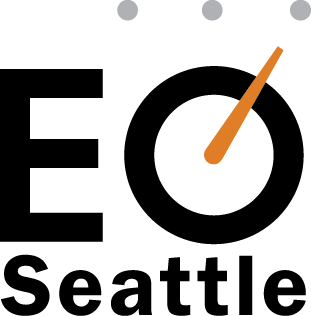 With over 40 events hosted over five days, this is a celebration of entrepreneurship in Seattle. thinkspace is hosting the “Scale Up” track, which will feature four events with EO-sponsored speakers, each with a focus on scaling up. 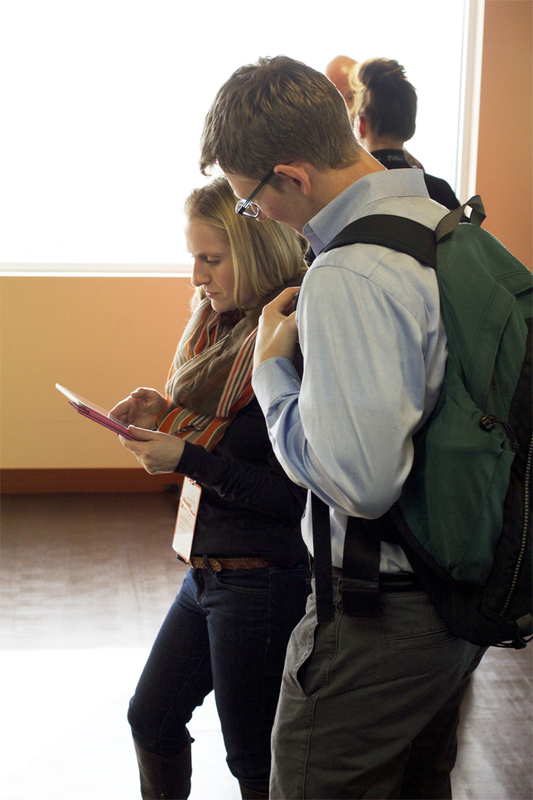 Check out our events below, and see the full line up of Seattle Startup Week events here. Entrepreneurs’ Organization (EO) is the only global network exclusively for entrepreneurs. 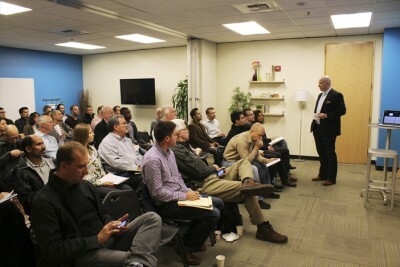 EO helps leading entrepreneurs learn and grow through peer-to-peer learning, once-in-a-lifetime experiences and connections to experts. 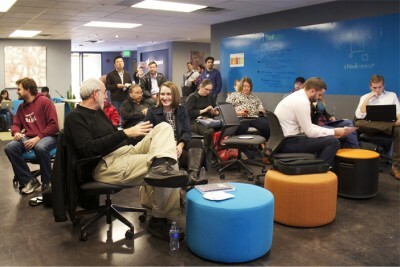 EO also has an Accelerator program. The EO Accelerator program is the catalyst that enables first-stage entrepreneurs to catapult your business to the next level. Our mission is to empower you with the tools you need to grow your business to more than US$1 million in sales and provide you with the skills to make yourself a better entrepreneur and leader. What is a High Growth Startup? [What] What a high growth startup really means. The mentality, the expectations, the challenges and the fundraising. 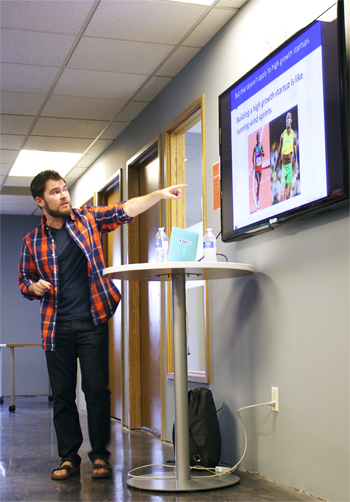 [Why you should go] When it comes to raising venture funding, Aviel is a pro. His company recently raised $20M in VC funding. [What] A fast-paced, action-oriented framework for building, managing and executing a scalable, predictable sales and marketing engine without breaking the bank. 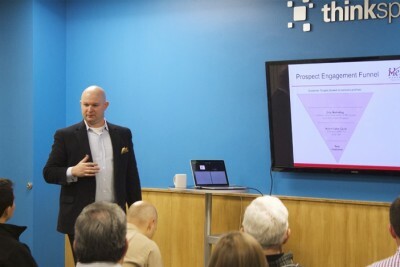 [Why you should go] Matt brings more than 15 years of marketing, business development and sales experience from a variety of organizations, vertical industries and company sizes. [What] Both Andy and Russell have built and sold companies. They will share how they screwed up along the way but still managed to succeed. [Why you should go] Andy is an entrepreneur and angel investor who has invested in over 40 startups. A former private equity investor and investment banker, Russell also appeared on Puget Sound Business Journal’s 40 Under 40 list and is on a mission to improve the health of 10 million people in 10 years. [What] It’s not about the cupcakes. 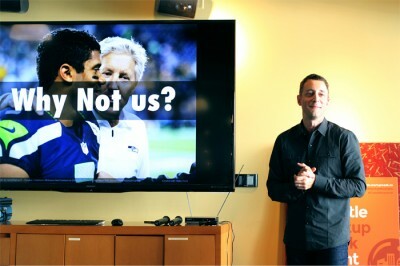 How to build a foundational culture of trust, collaboration and fun for a sustainable business. https://thinkspace.com/wp-content/uploads/2013/11/website-thinkspace-logo-teal-155x69.png 0 0 thinkspace https://thinkspace.com/wp-content/uploads/2013/11/website-thinkspace-logo-teal-155x69.png thinkspace2014-10-15 15:48:142018-04-28 18:19:33Seattle Startup Week | Scaling, and funding, and cupcakes! Oh my!